Are you considering training for a career in Hairdressing want to master the art of cutting fancy being a colour technician understanding how to colour /dye hair do highlights correct wrongs.Want to own a salon be a celebrity ? Where do you start what must you consider! Whats are your best option for a career path College academy apprenticeship ? As I consider the training option available to young people today those wanting to train and study to become proficient stylist able to get a job and be successful earn a good wage be creative. I reflect on my own career and wonder how might I help young people this web site I hope helps with the topics I try and cover. I often consider offering to go into colleges to share my experience and knowledge a sort of mentoring day with open discussion and question time to this ends. If any colleges tutors might be interested in this then I would be happy to talk with them about possible ways we could work together to benefit young people. An apprenticeship gives you hands on experience, a salary and the opportunity to gain qualifications while you work – even a degree. All of this with some high quality, prestigious companies in loads of different industries. Thinking of becoming a hair dresser want to be a stylist where do you start what must you consider to find the right training? What is an Apprenticeship? An Apprenticeships enable you to learn your trade practically as well as studying to gain the theory and enable you to receive your qualification. They are aimed at young people aged 16 and over to enable them to earn money whilst gaining experience in a hairdressing environment. An apprenticeship in hairdressing will normally involve you working in the salon every day bar one or two when you will be attending college to work towards you NVQ qualification. Like this idea or not you have to reach the required level of NVQ qualification It’s the law the recognised level of basic /standard training. It is a relationship you enter into with a salon owner or Chain to give you time and service in return for training .It is key to chose a place committed to making sure you get the training you will need, expect to do many of the support jobs until you gain some experience, but make sure you are not taken advantage as just cheap labor! It can take up to 5 years to qualify as a hairdresser so if you have the patience and the commitment to keep at it then an apprenticeship would be for you. Why do an apprenticeship? An apprenticeship enables you to earn money but do not expect high wages,whilst working and gaining qualifications. You can use an apprenticeship to gain NVQ (National Vocational Qualification) levels which is what you need to become a qualified hairdresser. Given the right salon an apprentice with NVQ college day release or in salon NVQ raining is the best way to be part of a salon team coming up through the ranks you become a respected member of staff with on floor experience it’s a natural progression from trainee to stylist the college route does not afford this! practical experience is not really gained when doing a college course. The college environment sets you up with knowledge but not the skills to work and understand the salon it’s staff and the way it works, studying just the theory at college will mean you have to get in salon training and experience. Employers like to see that their future employees are keen to learn and because of this salon owners are usually very keen to take on apprentices. Question to ask your self ! Will I enjoy an apprenticeship? When thinking about undertaking a hairdressing apprenticeship, you should be certain that this is the career path you wish to take. are you a team player.can you work with others and take direction from others? do you like people. How do you feel about the service industry! You need to be really focused to be successful and know that you will need to put in the work and organise your time really well. You must be prepared to be responsible for balancing your time at work with studying in order to get the most out of it. You can’t just work in the salon and not go to college because this doesn’t meet the requirements of partaking in an apprenticeship scheme. You should also be prepared to be able to work as part of a team and as an individual. How long does an apprenticeship take? This can vary from 1 year to 5; it is dependent on the contract you have drawn up with your employer and on your own ability passion, drive, commitment …………………..! You can also get in touch with employers directly and ask them if they take on apprentices or would be interested in doing so. If they do, then they will probably arrange to meet you as they would a proper employee and interview you to ensure you would be a good investment for them to make. Use the internet as a tool to help you find where takes on apprentices in your area. Additionally, look in your local newspaper and visit your nearest job centre. You have to make sure you choose the right apprentice scheme to embark upon as well so look upon it as finding a job. Make sure you do your research before applying to ensure that you would be happy working there if you got offered the apprentice. Prepare your self for an interview ask question about training and the job requirements this is a give and take relationship ! Hairdressing is a fantastic career choice and your job in hairdressing will certainly be filled with a dynamic range of clients, styles and fashions. 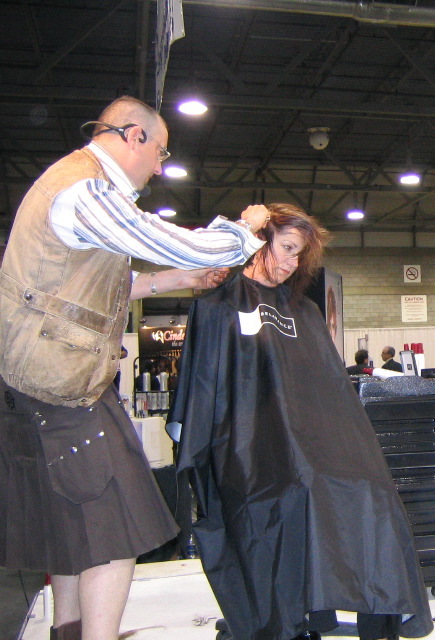 You can develop a vast career through hairdressing training (both academic and vocational). There are many options open to a new hairdresser, you could work for a well known salon or even go on to own your own hairdressers business in a local town. Ideally you should like people be able to communicate very well be a creative type of person, enjoy working in a team and having direct contact with your clients. An ambitious nature is highly regarded and valuable for a job in hairdressing, as you will be working in a £2.6 billion industry. A very few reach the highest levels of the profession celebrity status. A successful hairdressers can enjoy top jobs around the globe, traveling to style supermodels on photo shoots, TV and movie stars on set, magazine models and much more. Each of us has to judge our own success chose our own path.Whats yours to be ? Think about this it’s a question that might come up in interview! What training will you need to become a hairdresser? What can you expect the pay and working hours to be like as a hairdresser? As a trainee hairdresser you would earn the national minimum wage for your age range, after training you can expect to earn between £11,000 and £20,000 a year depending on your location, training level, experience, etc – with many London employers paying over £30,000 for top hairdressers. 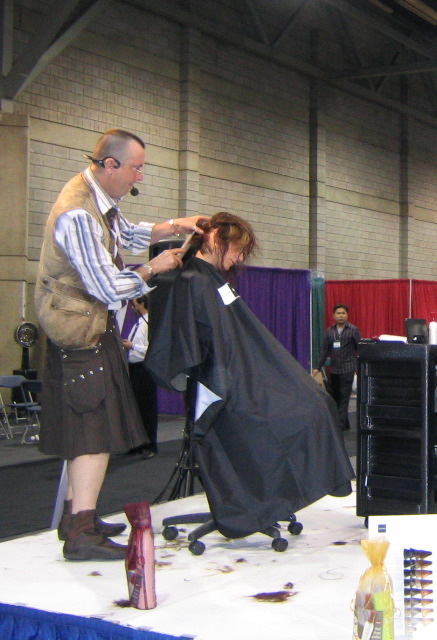 You will be working around 40 hours per week depending on the type of hairdressing job you choose. The working hours depend totally on the job role, for example in fashion you maybe working late evenings or early mornings with a film shoot, however regular work in salons is generally between 9 – 6. may be the norm but with late nights and in salon training be prepared for long hours that should hopefully be very rewarding the more willingness to show to want to learn the more you will learn! Having done the apprenticeship route when i trained and now as an educator who has occasion to visit colleges, my personal observation are two fold when many young people go into hairdressing either not being committed or thinking it as being easy! also the college route affords you knowledge but no real in salon experience, yet when qualified with their newly attained NVQ makes them feel they are fully qualified, leaving college is just the start of your career and training. I don’t think that at the moment a college training is a direct route into the salon to being a fully qualified stylist. More work need to be done with a more collaborative approach between salons and the colleges to over come some hurdles with regard to employability issues seen by salon owners. I do however firmly believe that there are many very focused and motivated professional who are working towards greater collaboration with regard to this issue. You will need to have work on the salon floor to gain experience of salon life starting off a junior /assistant becoming junior stylist and working your way up. Be prepared to keep learning do courses gain more knowledge and education, push aside that know it all attitude and ego, humility and a willingness to learn and be helpful goes a very long way life skills help and these you will continue to add onto and build throughout your professional career. What about future training we never stop learning career update skill update personal development, salon ownership management, business courses, technical and creative skills constantly challenge your self and those around you. Find a mentor so one you look up to who is willing to take you under their wing. Think about what you want from your career path have a vision do you want to be a salon stylist freelance mobile rent a chair have your own salon one day?